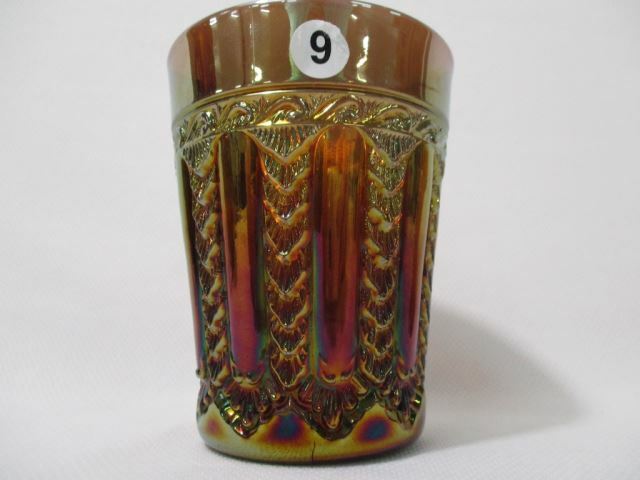 The rare Gay Nineties pattern has vertical panels with shell designs. 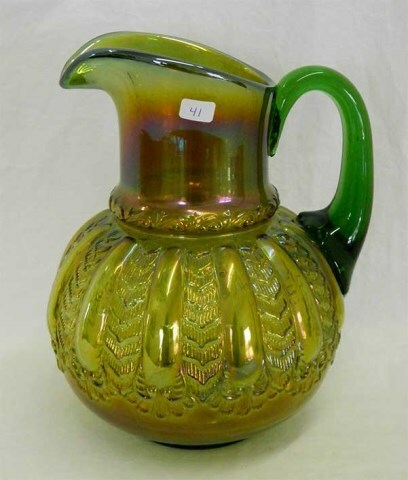 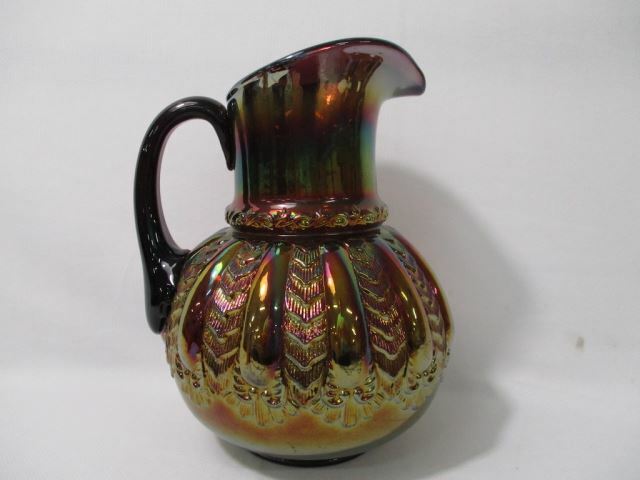 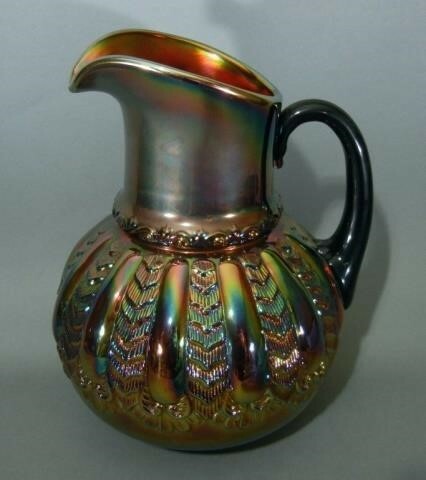 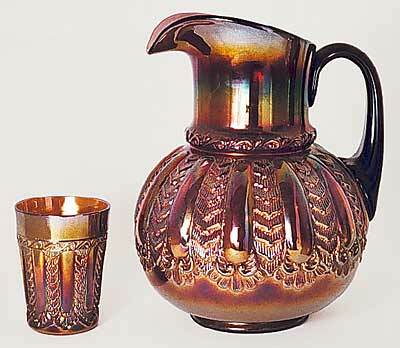 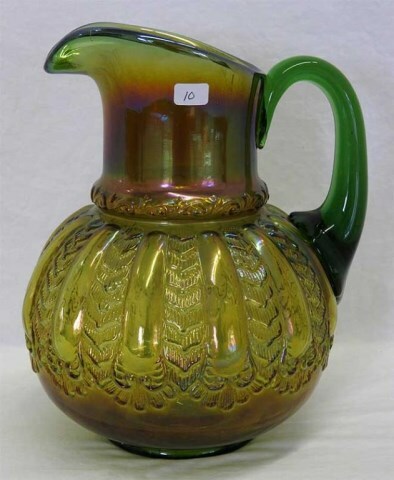 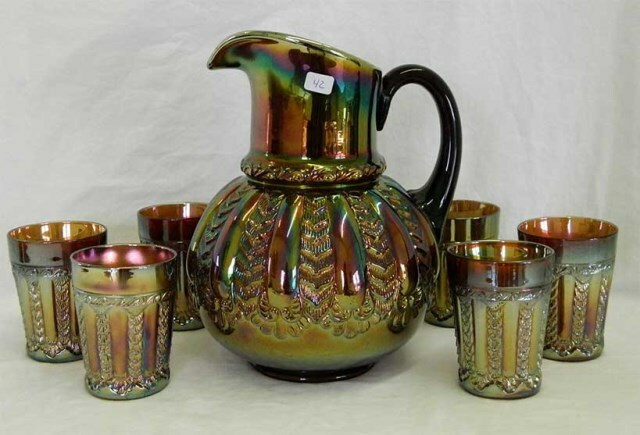 There are a handful of pitchers; three in amethyst and two in green. 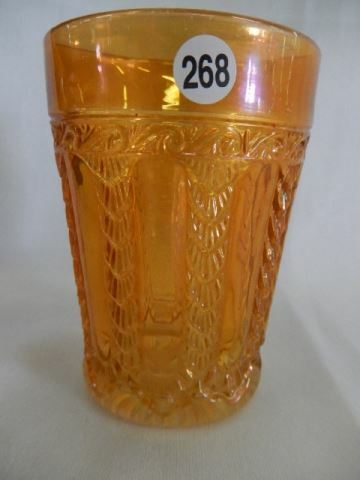 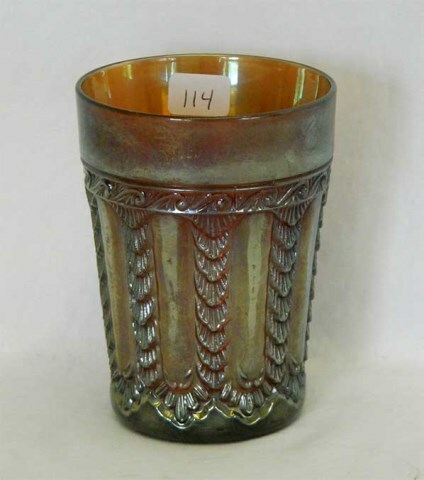 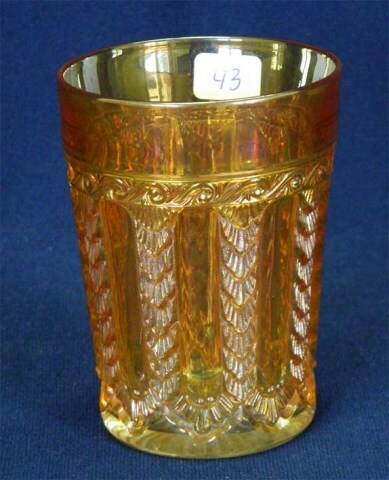 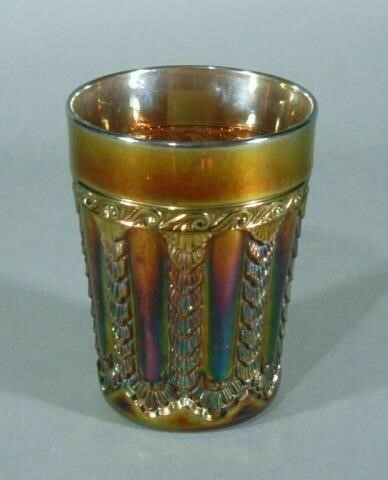 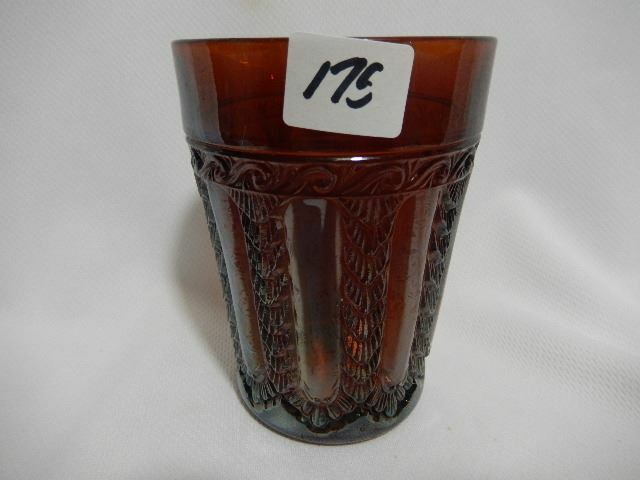 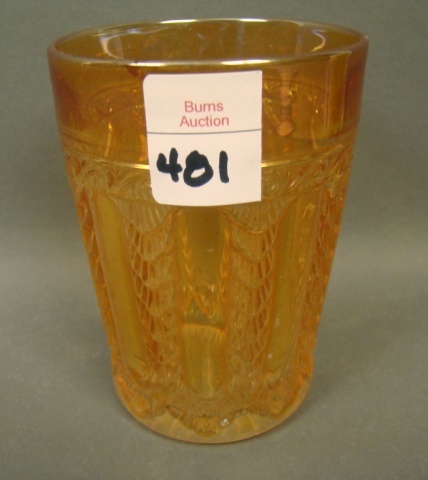 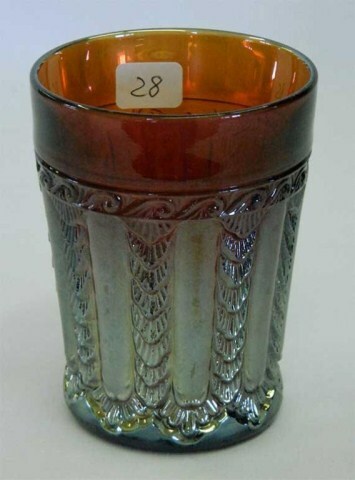 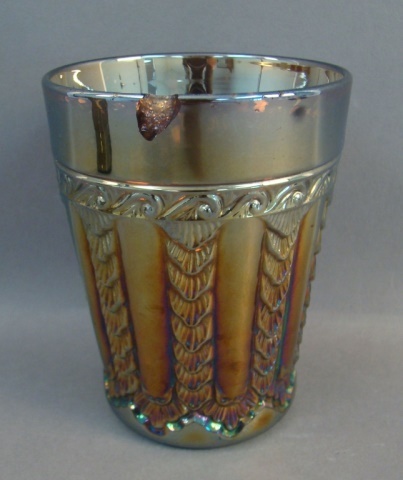 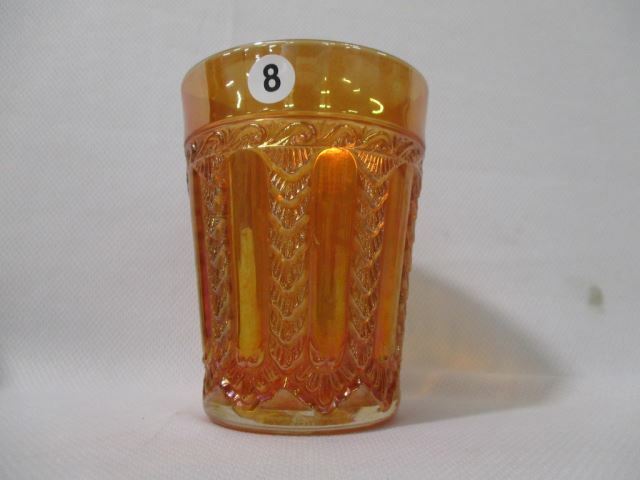 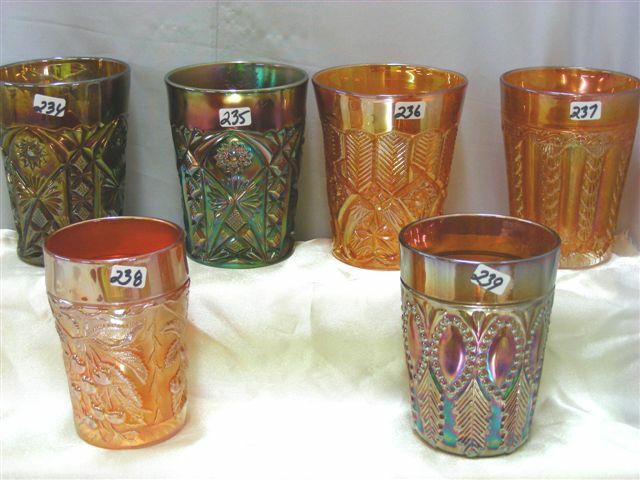 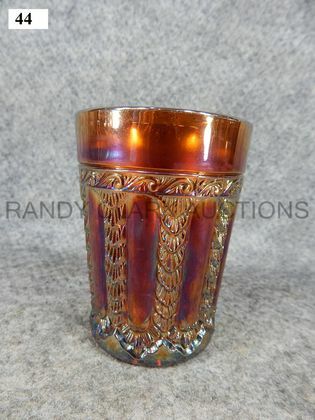 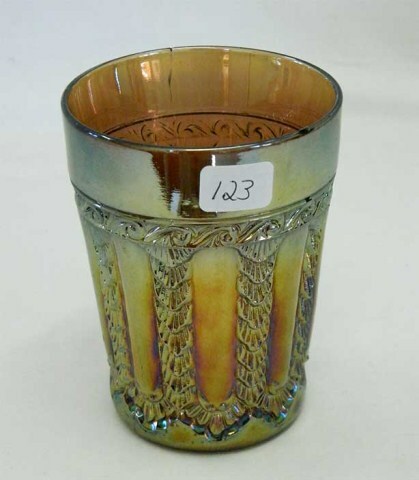 Tumblers are considered to be in the top 10 or 15 tumbler rarities.